We don’t often blow our own horn, because we strive each and every day to provide the very best veterinary services in the country, and our commitment to excellence, we feel, speaks for itself. However, once in a while a recognition comes along that validates our core values of Teamwork, Leadership and Compassion (TLC), and applauds the dedicated team of MedVet doctors and staff who work tirelessly to uphold the principles upon which MedVet was founded. 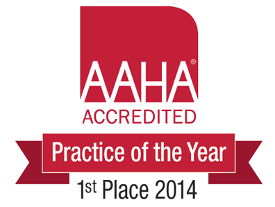 Such recognition is The 2014 AAHA – Accredited Referral Practice of the Year Award. AAHA is the only organization in the United States and Canada that accredits animal hospitals based on standards that meet or exceed state regulations. 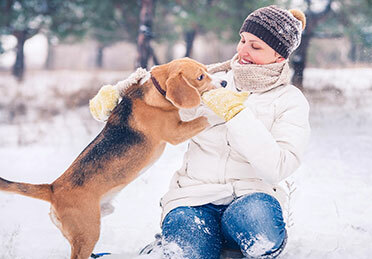 Established in 1933, the Association is well known among veterinarians for its leadership and high standards for veterinary practices and pet health care. MedVet’s medical centers in Columbus, Cincinnati, and Dayton are the first AAHA Accredited Specialty Referral hospitals in the state of Ohio. We were evaluated on approximately 900 standards that included mission and vision, practice team composition, continuing education and training, and community service. So receiving this award – out of all the other AAHA-accredited hospitals – is important to us at MedVet, and we are understandably proud of this achievement. The award recognizes the high standards of Veterinary Medicine we deliver in each of our specialty practices, and reinforces the value of our services as a specialty and emergency service provider. We will continue to adhere to both internal and external standards of quality as we explore new ways to serve our patients, pet owners and referral partners. Now that’s something to celebrate!